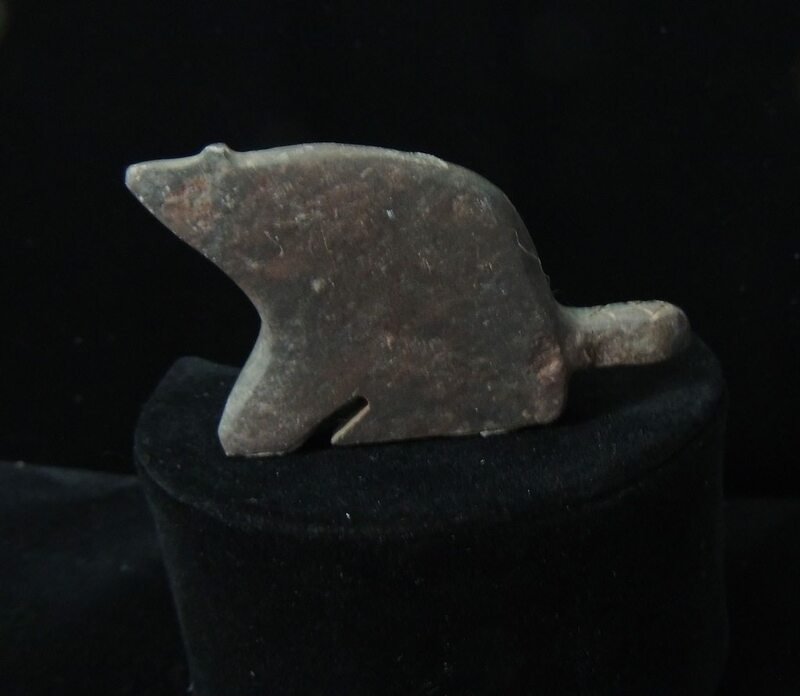 This brown slate beaver fetish is carved vintage-style, coaxing the larger shape of the animal spirit from the stone, by a member of Taos Pueblo’s Gomez family of carvers. Not visible in the photo is the cross-hatching detail on the top of the tail. All content, including photos and text, are copyright Wings and Aji, 2014; all rights reserved. Nothing herein may used or reproduced in any form without the express written permission of the owner. Posted on Friday, June 20th, 2014 at 8:29 pm. Filed under: Fetishes	RSS 2.0 feed.